Welcome to the House of Beautiful Business! This was the main argument of my recent TED Talk on “4 Ways to Build a Human Company in the Age of Machines,” and I’m excited to bring it to life with an event I’m helping to produce with The Business Romantic Societyand our partners IXDS, A Hundred Years, and Carmen Boronat Badia: the House of Beautiful Business. 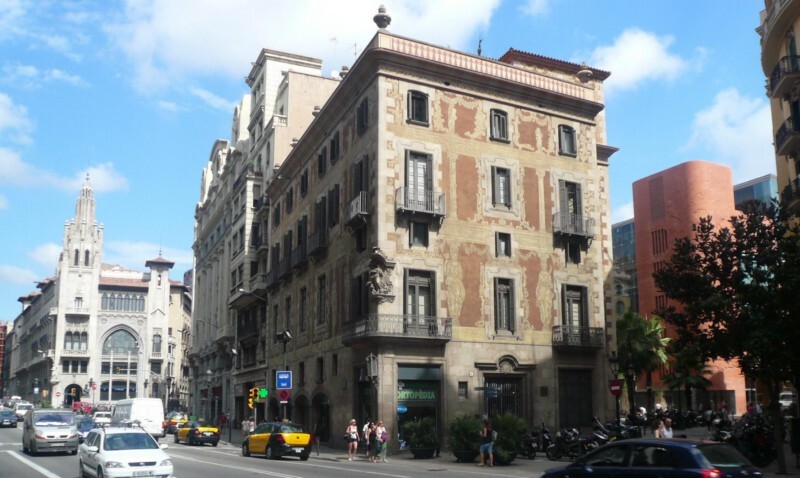 The House of Beautiful Business is a special pop-up community during Mobile World Congress (MWC) in Barcelona, designed to offer an intimate space for meaningful conversations about technology, humanity, leadership, and the future of work. On February 28 and March 1, we are inviting MWC attendees, business and nonprofit leaders, founders and futurists, engineers, artists, and philosophers to explore how to make business more beautiful, and to celebrate, design, and co-create companies that thrive serving all of our needs and maintain our humanity in the age of exponential technologies. In an action-packed two days of talks, discussions, workshops, breakfast sessions, and dinner salons, we are keen to explore how to lead with purpose and passion; build human companies and workplaces; create beautiful products, services, and experiences; and design for intimacy and meaning. The House of Beautiful Business is not only a celebration of the sensual and inherently human, it provides participants with insights into those immeasurable resources critical for transforming and growing their organizations in a time of increased uncertainty. Program highlights will include “The Great Debate: Technology and Humanity” curated together with Futurist Gerd Leonhard; “Purpose Prototyping” sessions (“come with ideas, leave with a vision”); and panel discussions on “Beautiful Cities,” “Pleasure and Pain in the Age of AI and VR,” and “Disengage Tech.” Moreover, we will examine lessons from local heroes FC Barcelona and the “Beautiful Game,” and offer — for those tired of talking after long conference days — a Silent Dinner. How can we make our organizations successful AND beautiful? How can we make efficiency human? How can we make big data “thick” and “warm”? What can business learn from artists? How can we offer future generations an enticing workplace? What kind of “sentimental education” is needed to adapt to and humanize exponential technologies? What kind of human leadership will be required in the future? 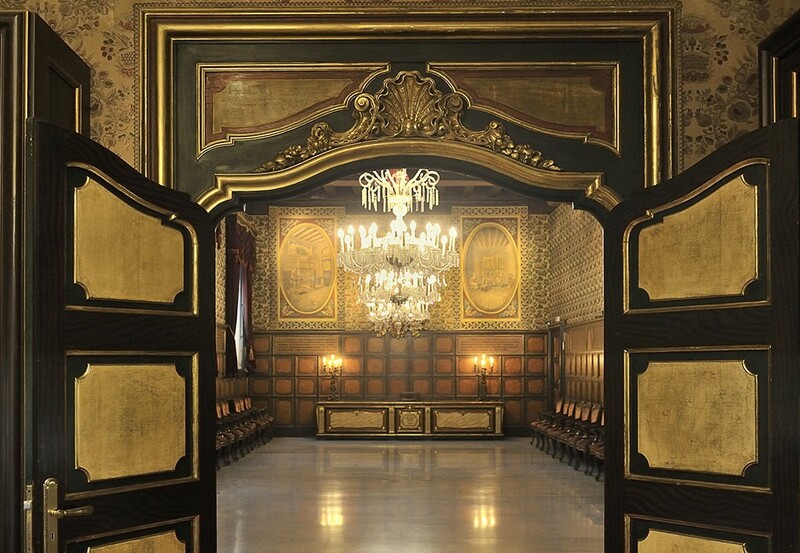 The House of Beautiful Business will of course take place in a beautiful venue: La Casa de la Seda (The House of Silk), a guild house in the heart of Barcelona declared to be National Cultural Heritage in 1919. In addition to its great architectural and artistic value, it offers six distinct spaces and meeting rooms that will become the stage for the sessions as well as simply beautiful procrastination — a “safe space” for meaningful conversations and encounters amidst the hustle-and-bustle of MWC (50,000 attendees are expected in Barcelona for the conference). 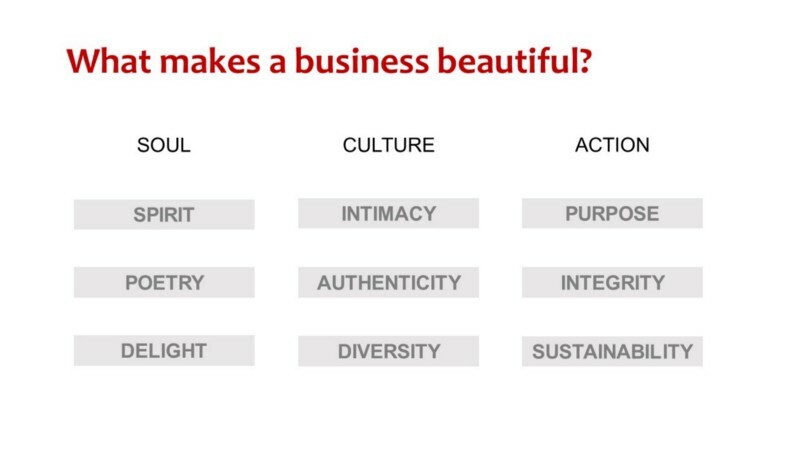 What exactly is “Beautiful Business”? I’ve written about it before in my book, The Business Romantic, and here and here: When we say, “business is business,” it’s a tacit acceptance of work as necessarily crude and unlovable. But in the future, beauty can actually save our jobs. In the face of AI-driven automation and a machine-centric view of business and the world, Beautiful Business encourages us humans to maintain the one big advantage we have over the machines: the ability tofeel — that is, to love and to suffer, to experience pleasure and pain — to transcend, and to imagine (not just to predict). Unlike animals or robots we can hope, create illusions, and develop entirely fictitious worlds. A Beautiful Business combines a humanist purpose with a human-centric organizational culture and strong individual human spirit. It embodies three core mantras: do good, feel good, and feel more. With business as the last grand social system and narrative of our time, it is paramount that we don’t surrender to a reductionist market-based viewwanting us to believe that the wonder of life is a simple economic equation. The bottom line is this: A merely transactionalist and reductionist world view is dehumanizing. A business that wants to stay human and at the same time leverage the full range of its human resources to innovate and compete in the future must remain idiosyncratic and unpredictable, and defy the assumption that only measurable things have value. Strategy is art. Numbers are feelings. Organizations are relationships. Business is a performance. A Beautiful Business makes meaning, not just money. It discovers to deliver AND delivers to discover. Sounds daunting? Well, it is. It’s going to be a lot of work — beautiful work. I hope to see you in Barcelona!